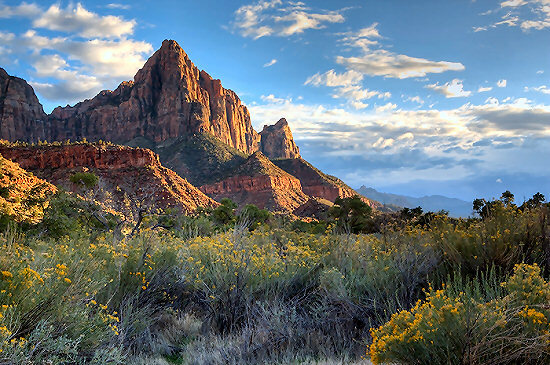 Enjoy one of our shorter and easier tours offering the best that St. George and Zion National Park have to offer in a combined 4-day/3-night road riding and hiking tour through some of the most magnificent terrain in the high desert of southwest Utah. Starting & Ending Town: St. George, Utah. Fly in and out of Las Vegas, Nevada (LAS), or St. George Utah (SGU). Shuttle service from and back to Las Vegas available through the St. George Shuttle. Bike Rental: Lizard Head Cycling Guides is proud to rent Scott CR-1 Pro and Scott Solace carbon road bikes with full Shimano Ultegra components for only $250/week, or $150 for 3 or 4 day tours. Both the CR-1 and Solace models are sub- 17 lb comfortable, high performance bicycles geared for climbing hills. In addition we also have electric bikes available for rental at $375/week. And finally we have a selection of straight bar road bikes and kids bikes in our rental fleet. Just let us know what you need and we can probably find it. Also: all meals, guide service, entrance fees, daily lunch en route, energy food, liquid refreshments, shuttles and mechanical support. 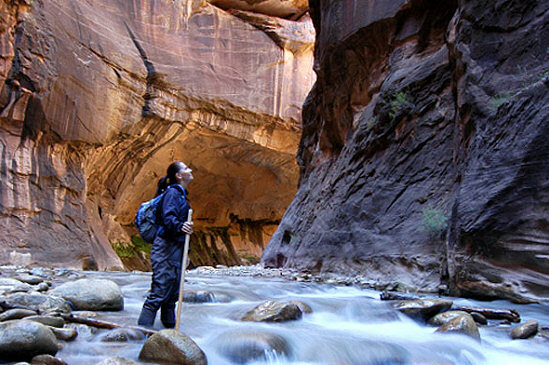 Additional Activities: Slot canyon hiking, swimming, waterfalls, massage, and yoga. Can I really do this tour? Daily mileage options allow cyclists of varying abilities to enjoy this tour. One of our favorite options is to give cyclists a “bump” via the support vehicle, or a 10 to 20 mile lift down the road representing an hour of pedal time. After the bump the rider is “off the front” and riding at his or her own pace without feeling they are being left behind the group. 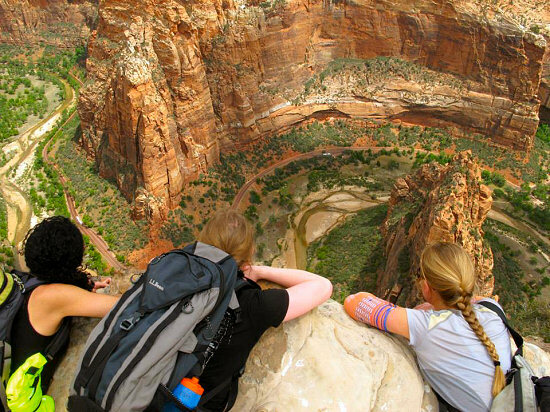 They’ll then have time to linger and take in the spectacular scenery. All cyclists come together in time for lunch. Afterwards, cyclists can take another bump and/or continue riding. Lizard Head Cycling Guides designs multiple mileage options for each tours – something we’re well known for in our business. Daily shuttle options allow cyclists of varying abilities to enjoy our tours through mileage customization. PLEASE don’t be scared away from this tour. Many cyclists who sign up for our tours have worried themselves silly about not being able to keep up. But then they’re surprised to find that all the worrying was about nothing. They do just fine! Slow and Fast only exist as relative terms to other people. Speed does not matter as long as you are moving on the bike. Like we say to even the most reluctant cyclists: “You will be ready for a tour with Lizard Head Cycling when you are finished with a Lizard Head tour”. See How the Shuttle works below Day 7’s description in Tour Logistics and FAQs. 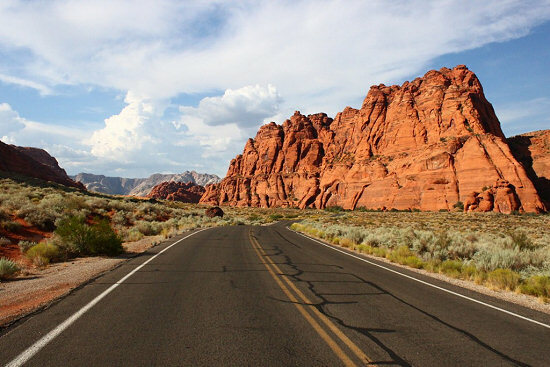 Guests fly into Las Vegas’ McCarran International Airport (LAS) and arrange for their own shuttle to St. George, Utah via one of the available St. George shuttles (St. George Shuttle; St. George Express) or a rental vehicle. 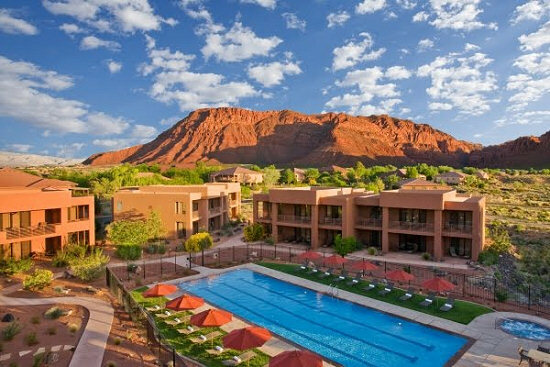 The tour meets at and departs from the Clarion Suites in St. George, Utah at 7:00 AM on Day 1. Alternatively, guests can also fly into the smaller SGU Regional Airport (SGU) which is serviced by Delta Air Lines from Salt Lake City, Utah and United Airlines from Denver, Colorado. On our first day, we will meet early morning, load gear and then depart from the meeting hotel to shuttle a short distance to the start of today’s ride on the west side of Santa Clara, Utah. After unloading gear and setting up our bikes, we head north through the Santa Clara River Valley into Gunlock State Park and past the Gunlock Reservoir. 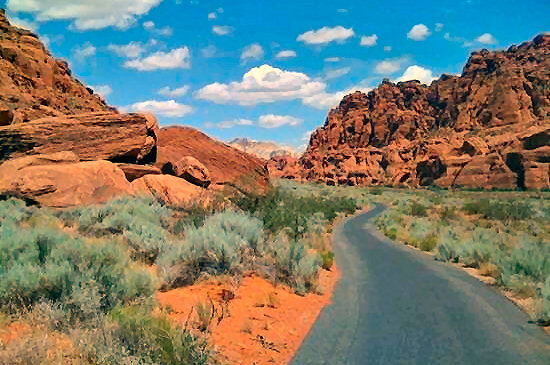 After passing through Gunlock State Park, we continue north and then begin the loop back south through Snow Canyon State Park riding past its majestic red Navajo sandstone formations and fields of ancient lava flows. Our stop for lunch will be within the park and after lunch, we finish our ride with a short pedal to the Red Mountain Resort, our accommodations for the evening. Following breakfast and the loading of gear into the support vehicle, we shuttle an hour east from the Red Mountain Resort to Springdale, Utah. 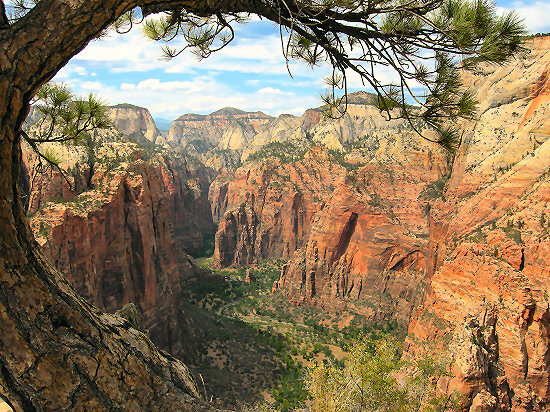 From here we unload and ride along the Pa’rus Trail into Zion National Park where riders will enjoy a seven mile car-free journey along the floor of Zion Canyon past magnificent sandstone formations such as the Watchman, Court of the Patriarchs and eventually to the Temple of Sinawava. 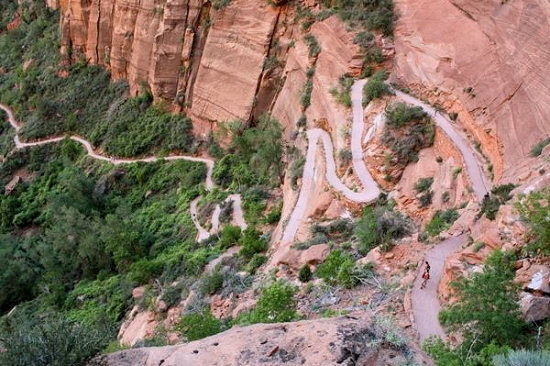 This is where we trade in our cycling shoes for hiking boots and embark upon a 3-4 hour trek into the Zion Narrows and then back. The trail into the narrows is the Virgin River, so plan on getting wet, but it’s also refreshing on a warm day. After the hike we saddle back up, return to Springdale and check into the Cliffrose Lodge. 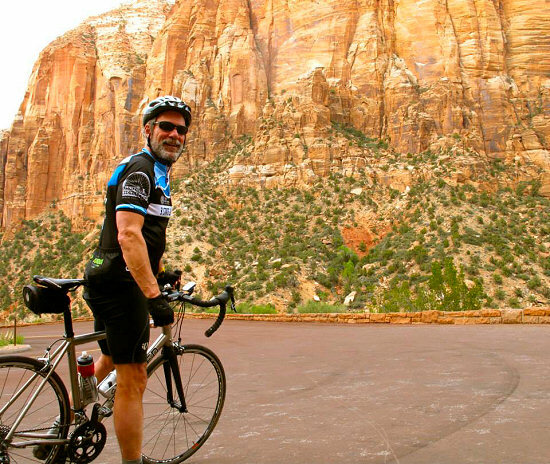 Plan to ride early today as after breakfast we shuttle from the Cliffrose Lodge to the east side of Zion Tunnel to start today’s ride. 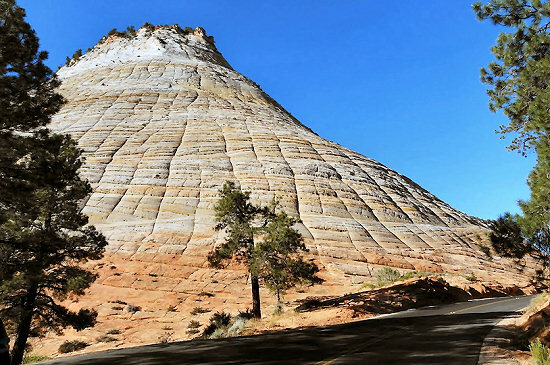 You will be amazed at the imposing ancient rock formations along this twisty road including the magnificent Checkerboard Mesa. You likely will want to stop many times along the way to take in the views and capture some photos. 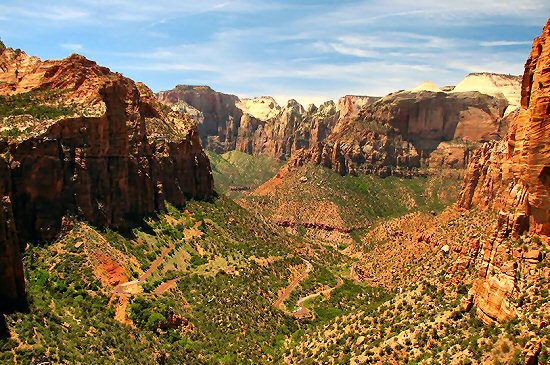 We soon depart the east entrance of Zion National Park and turn left onto North Fork County Road up to Zion Ponderosa Ranch Resort, and then we turn around to return back to our start location Zion Tunnel. From here we shuttle through the tunnel to the west side entrance where riders are let loose to cruise down the sublime twisties into Zion Canyon to finish the last five miles back to the Cliffrose Lodge. This will be a ride that you will soon not forget! A gourmet lunch will then be held at the Cliffrose Lodge where we refuel and relax after the morning’s ride. 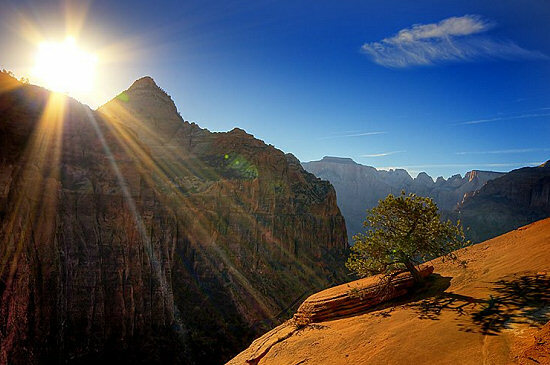 An optional 4-mile hike up and down the nearby Watchman Trail from the lodge will be offered in the afternoon for those looking to take in more of Zion Canyon. Challenging near the top, but worth the view! After a hearty breakfast, a hearty hike is on tap for today. 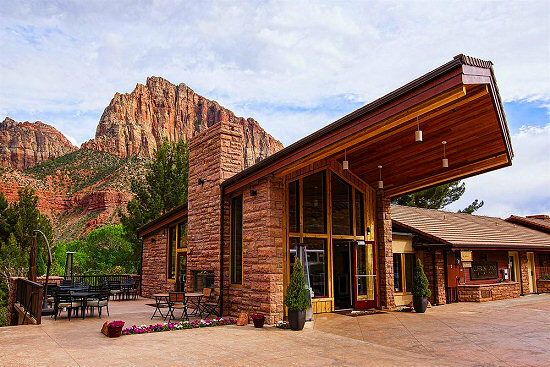 We will take the excellent Zion shuttle system bus from the lodge to the Angels Landing Trailhead in Zion National Park. 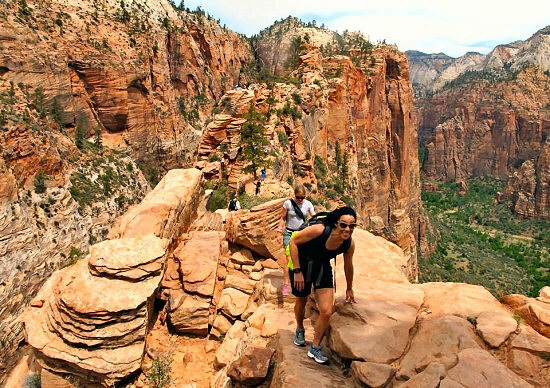 The Angels Landing Trail is one of the most famous and thrilling hikes in all the national park system and Zion’s pride and joy runs along a narrow rock fin with dizzying drop-offs on both sides culminating at a lofty perch boasting magnificent views in every direction. With steep switchbacks and a strenuous last half mile, this trail is challenging, but the rewards are well worth it. Returning to town after the hike, we will have lunch, pack up the support vehicle and return to the Clarion Suites in St. George, Utah to end our adventure. Guests will need to arrange their own shuttle from St. George back to Las Vegas. Most meals are included. In total 3 dinners, daily breakfasts and 4 lunches are included. This tour is designed for intermediate cyclists with various levels of fitness. Each day there are additional mileage options for advanced riders. With gently rolling terrain and only a few steep & long climbs, this tour is an easier tour for most cyclists. A 15-passenger van and trailer that carries luggage, food and equipment supports Lizard Head Cycling’s tours. Cyclists keep a day bag that is accessible within the support vehicle.